This wonderful glass Seder plate is a Dorit Judaica piece of Judaica artwork. 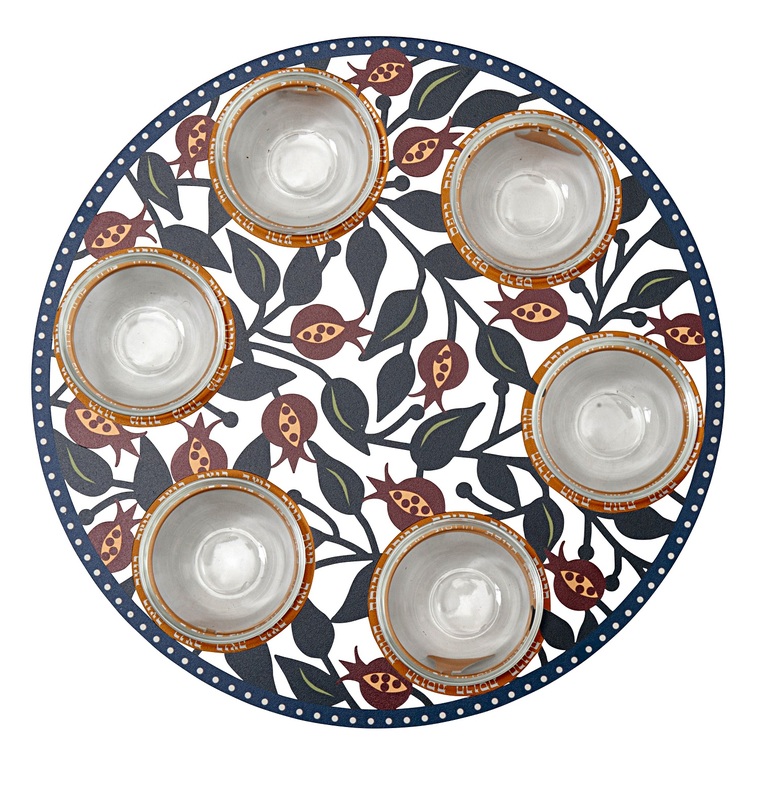 Full of beautiful painted pomegranates, the seder plate has 6 glass bowls for each of the seder foods. The symbolic foods of the Passover Seder are sure to be appreciated in this gorgeous glass Seder plate. 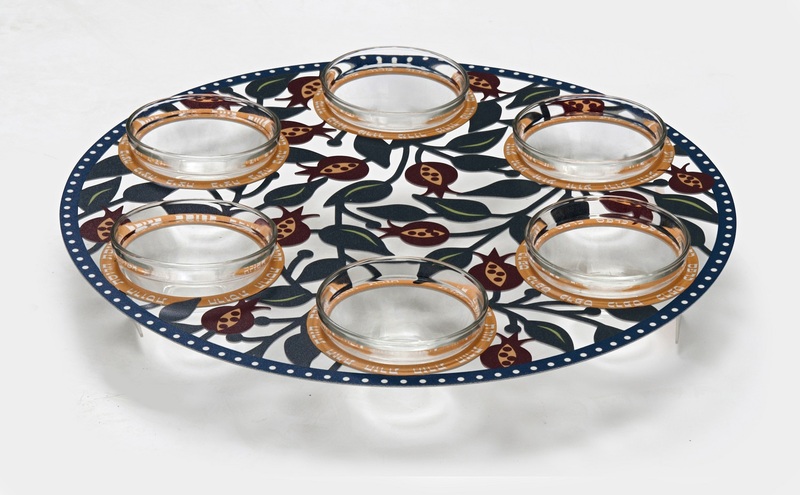 With 6 glass bowls for the simanim, this unique design of seder plate is themed around pomegranates on their branches, with leaves, and it creates a beautiful piece of Judaica art on the Seder table.